From now on we have a new category in startupik. Since we talk about Startup Company then we came to a conclusion that you as our audience may want to know about the highly rated startups in the world and from today onward we want to talk about top 10 startups in the red-hot countries for this kind of business. We will start with startup paradise, the land of fortune: United States of America and today we will count down Best startups in the United States of America so buckle up for one exciting ride. If you want to know about the nature of Buffer, then we will give you their own one sentence presentation of their company: A Smarter Way to Share on Social Media. Usually, this simple sentence is enough to know about their business but since we want you to know about the reasons why they became a hit and that’s why we will go a little bit more in depth. Buffer is an easy way to share your social media content around all different social media hubs. They have established themselves as one of the most successful startups in the recent decade and they were present in the top ten startup tools of the year for multiple websites including Startupik. Today their services is used by more than 4 million active users all around the world and this great number is on the rise on daily basis. We all know or at least heard about digital currencies and there are tons of new types of digital currencies based on blockchain and just like anything else, if there is a trend in the world then there will be some great startup companies to sort thing for this trend’s users. Coin base is a great website that can help people to buy and sell all type of digital currency based on users interest. They have services for popular ones such as bitcoin to fairly lesser known types of digital currency and that’s why Coin base is one of the best startup companies in the USA and even the whole world. Since their start in 2012, they are on the rise and there are more to hear from them in future. Learning is more important than it ever was these days and people all around the world are trying to learn new thing every day and that when startup companies such as Coursera Will start to shine. This startup will give its members a lot of Free Online Courses. They are not just casual sessions with minimal academic value but instead, these courses are provided from Top Universities in the world. They are partner with a tall list of universities and they were able to bring education at its best for millions of people worldwide. They act as a hub between top professors and people who may not have the physical access to these top teachers and this has turned them into one of the best startup companies all around the world. They say that dreams are there in the clouds and in today’s world our future is literally is in the cloud. Cloud computing is a big thing today and it will be even bigger soon and startups such as CloudFlare are there to make this future exist in today’s world. CloudFlare is all about security and web performance. They can protect you from different attack types in the net and the key to their success is how easy it is to use it. You as a user of CloudFlare can make your website super secure by only a couple of clicks. There is no need to buy new set of hardware and software and everything can be done smooth and fast and that’s why this startup has made its way into top 10 startups of the USA today. Their moto is “Where work happens” and it is an interesting one because they can really live up to that. 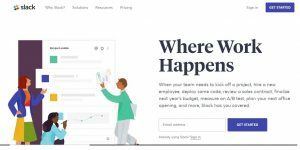 Slack is a simple and super effective startup that can merger all you need in one single platform. Their service can be explained as simple as possible. You can integrate people and software you use in your daily work in a way that you can access them fast and easy. It’s very effective and proven to improve productivity and that’s why they made it into our list of Best startups in United States of America. Have you ever had a question without answer that you know there are people all around the world who might be able to help you? 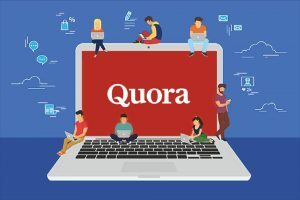 Well to be honest, it happened to all of us but Quora made this problem solved in a way that they deserve to be in our list for Best startups in United States of America. You can write new content there and share it with other people who have done the same thing there in Quora. Just pick a content and then you are free to get connected to a world of useful information from the people who have the same interest in the topic as you do. Gifs, those lovely little moving things in the net that I have a soft spot for and wonder how we lived without them before. Giphy has a special place for me in this list of Best startups in United States of America as it offers a great platform for artist to create gifs from anything you can think of and then share it with anyone who joins this startup. This one does not need any introduction. If you have never heard about Uber then I guess that you live in a cave or a remote island. This startup is one of the main reasons behind what we call startup decade. They have made something we all knew and used for years and turned them into something totally new. Uber has two sides, one is for drivers who can register there and become and uber driver and the second one is for users who need a ride to their destination. They have made ride cost lower for users and at the same time made more profit for drivers by providing more customers for them. They are among the best startups in United States of America because they still continue to grow and right now they have invested a huge amount of money on driverless cars. They have come a long way since they have started back in 2009 and they deserve the credit and respect they have today. 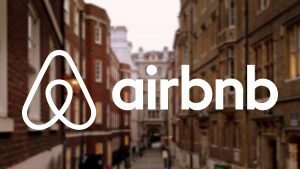 There are multiple websites in the world that you can reserve accommodation and transport for yourself but to be fair none of them is as good as Airbnb. This website is amazingly simple to use and has a huge variety of possibilities for you. You can get access to some unique accommodation and luxurious places to reserve all around the world. they are well deserve their spot on our list of Best startups in United States of America. This startup is all about stories. We all love to read and obviously when you want to read something, somebody should have loved to write it to begin with and Medium is the right heaven for both of these people types. They are more like a blog type of website and they are ranked in the impressive position 247 in Alexa among all the websites in the whole world. This website was founded by Evan Williams. If the name is familiar for you then you must know that she is the co-founder of Twitter and worked as its CEO for some time. 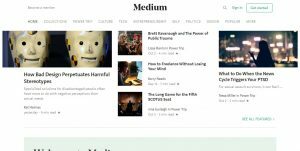 Williams started Medium back in 2012 and after that they have started to grow fast. Right now they have less than 100 employees but the quality of the content they provide have brought them millions of user from all around the world. 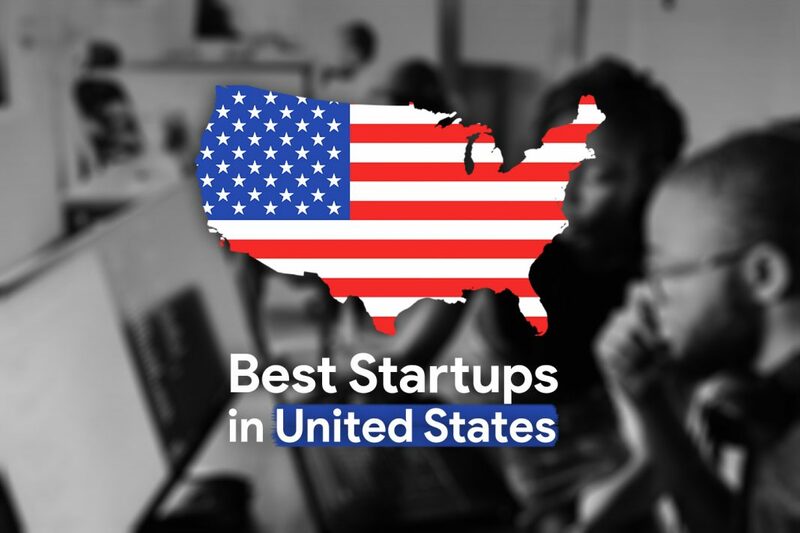 This list was extremely special because most of these top 10 startups of the USA is among the top startups of the world which we will talk about it in another list. If you have any suggestion or comment on this article. Previous articleWhat is Google pigeon algorithm?